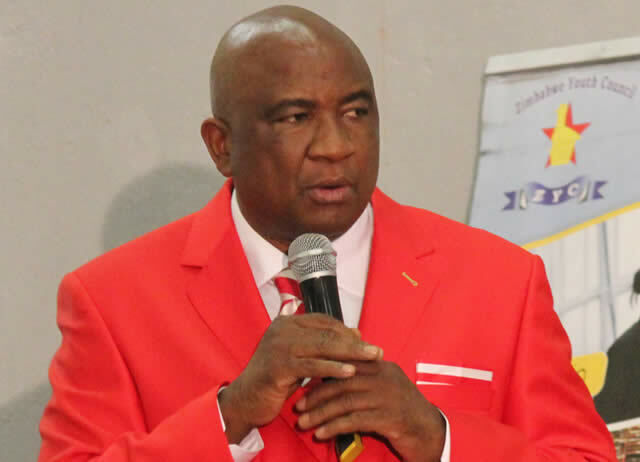 FORMER Zifa board member Felton Kamambo has described Zifa president Philip Chiyangwa as a "coward" who is trying to block his challenge for the federation's top post ahead of the elections on December 1. Kamambo, who has revealed his bid to challenge Chiyangwa in elections set for December, said the Zifa boss was aware he would not stand a chance against him in the elections and was resorting to all tricks to try and block his participation. 'He (Chiyangwa) is a coward. He is afraid to face me in the election and has resorted to all sorts of tactics to try and frustrate me. He knows he will not stand a chance," Kamambo said. Kamambo was responding to reports that he was ineligible to challenge Chiyangwa because he is serving a three-year ban imposed in April. The former Zifa board member however argues that he is not serving any ban and should be allowed to contest the December 1 elections. Kamambo withdrew from the Zifa board in March together with Piraishe Mabhena arguing the term of office of the board had come to an end. Chiyangwa, his deputy Omega Sibanda and Philemon Machana stayed on. Kamambo yesterday said he was surprised the issue of the suspension was only made public after he requested for a nomination form to challenge the incumbent. "I don't know of the alleged suspension. Since I resigned I have never received a letter to that effect. It's only coming to light now. It has just come out of the blue. In any case, why should the suspension be made public now after I requested for a nomination form to challenge Chiyangwa in the elections. Clearly, he is afraid. He knows he stands no chance," said Kamambo. The former Zifa board member also questioned why the Zifa secretariat was usurping the responsibility of the electoral committee to vet candidates by refusing to provide nomination forms to interested candidates. Kamambo was reportedly denied a nomination form by the secretariat when he requested one on Tuesday. Kamambo wrote to the Zifa electoral committee yesterday asking the body to intervene so that he can be issued with the form. The electoral committee is the one that is mandated to vet candidates. "Pursuant to the letter I wrote you dated 23rd October 2018 it has come to my attention through a newspaper article that the Zifa secretariat is claiming that it refused to give me the nomination form based on the allegation that I was suspended from Zifa," his letter reads. "It is not the function of the Zifa secretariat to disqualify candidates from participating in an election. This is an exclusive role of the electoral committee. The Zifa secretariat should be ordered to furnish the nomination forms to all prospective candidates."